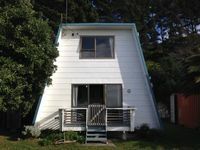 Properties in Castlepoint average 4.5 out of 5 stars. Awesome family beach house with ocean views. Property 1: Awesome family beach house with ocean views. Absolute Beachfront. Warm and comfortable. Property 3: Absolute Beachfront. Warm and comfortable. 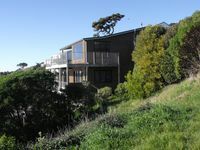 Property 4: Castlepoint - Private family beach home with stunning views capturing the sun. Crayfish Cove Castlepo. Unsurpassed Water front location! Property 8: Crayfish Cove Castlepo. Unsurpassed Water front location! 180 degrees ocean view, right on the beach. Property 14: 180 degrees ocean view, right on the beach. Property 18: Ocean-front beach house with warm outside shower. Wow. Breathtaking views, clean, comfortable, and well equipped. With the two levels is great for the whole family, plenty of space. This is a very special place, it was a privilege to be able to stay here. We will definitely be back.